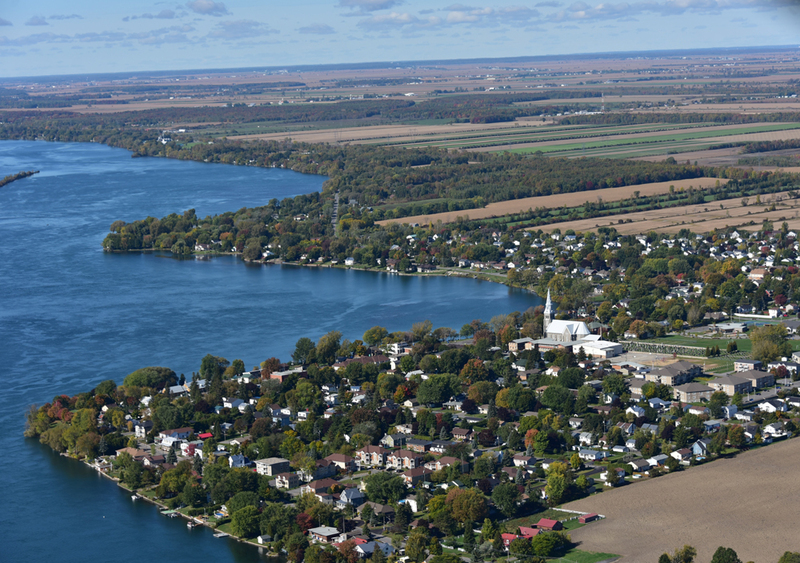 Les Cèdres is a village established on the shores of the St Lawrence River rapids whose first inhabitants arrived in 1717. For centuries this area existed essentially for maritime purposes, even though it is one of the most difficult areas to navigate. Nevertheless, for many years, most men from the village became familiar with this river at a very young age. 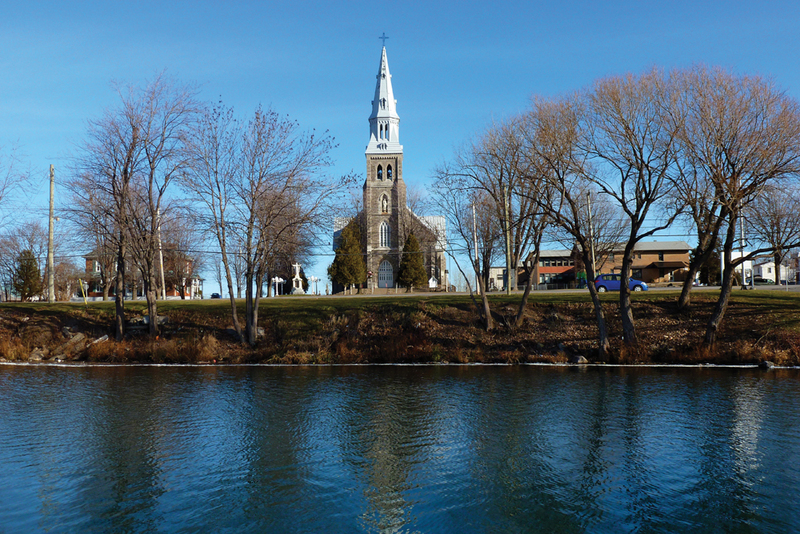 The parish of Les Cèdres was founded in 1752 and its first chapel was built in 1771. However, it is believed, and certain archives confirm this, that a place of worship was built and visited by travelling priests earlier. This site would also have been used for the construction of a military fort to shelter troops during the American invasion of 1775-1776. Incidentally, the Americans were defeated there. 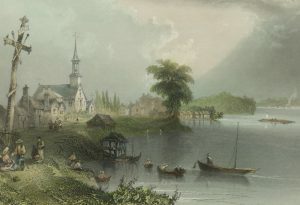 In 1781, a first church was built. Due to the village’s prevalent bad weather, the building rapidly showed much wear and tear, and it was decided to build a new one in the same location. The current church was completed in 1881. On January 14, 1950, an enormous storm hit the village again with winds over 95 kilometers per hour blowing from the river. The church steeple, a 19-meter-high pyramid-shaped construction mounted by a 2.8-meter metal cross, broke at exactly 11:23. It crashed into the church above the righthand altar. 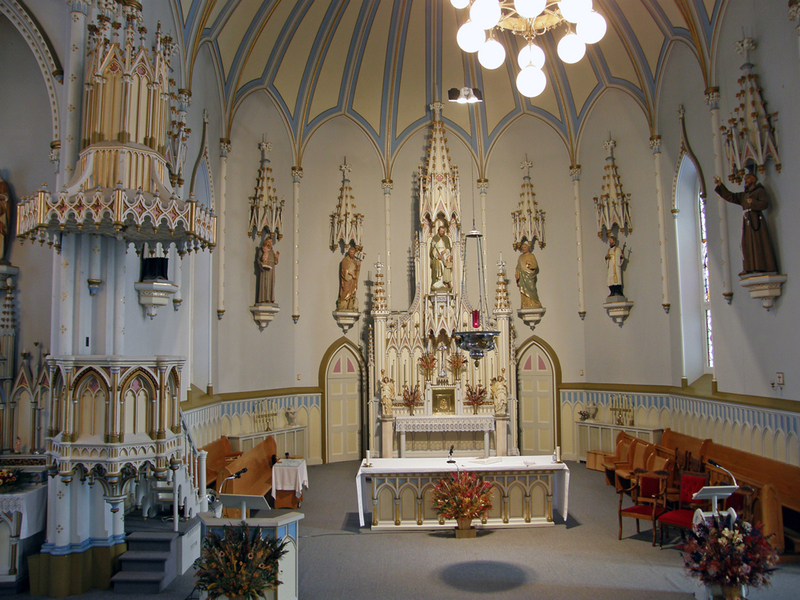 Miraculously, the steeple’s fall stopped short and ended just above the altar, saving the liturgical furniture and religious objects from destruction. 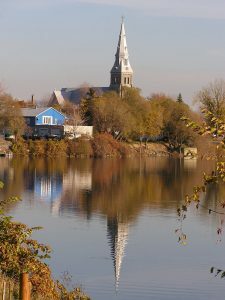 This event speaks of the perilous life of the Les Cèdres residents and explains why the church houses many objects relating to the devotion of the patron saints of travelers, sailors, and the shipwrecked.